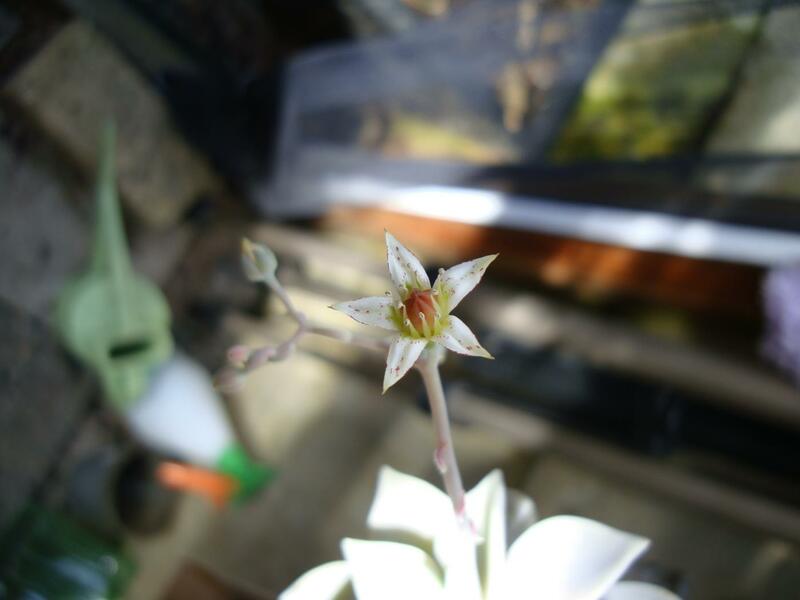 I submitted some 6 unidentified plants to the old forum - I've not forgotten reequests for more information but I am still waiting for the flowers to appear! Meanwhile I hope that you can help me with identifying these 3, two of which have got flower photos!! 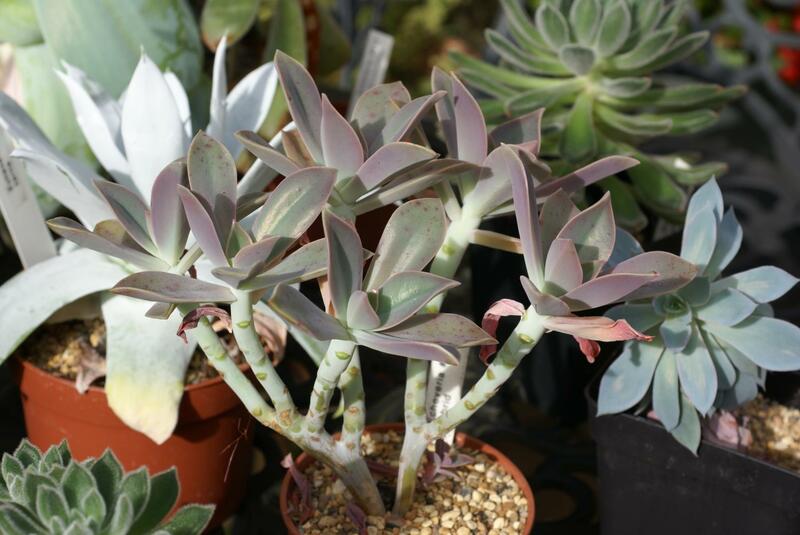 #324 I hope that I have correctly identified this one as Graptopetalum paraguayensis. Would you suggest cutting off the long stems? The third one # 79 Margrit suggested as being either xGraptosedum or xGraptoveria. This plant was shown recently in our cactus show and the judge suggested that it might be x Graptoveria "Fred Ives" - which I hope is correct as Fred Ives was one of the four Bradford people who founded the Yorkshire Cactus Society which developed into the B.C.S.S. and I'm a proud member of the Bradford Branch. 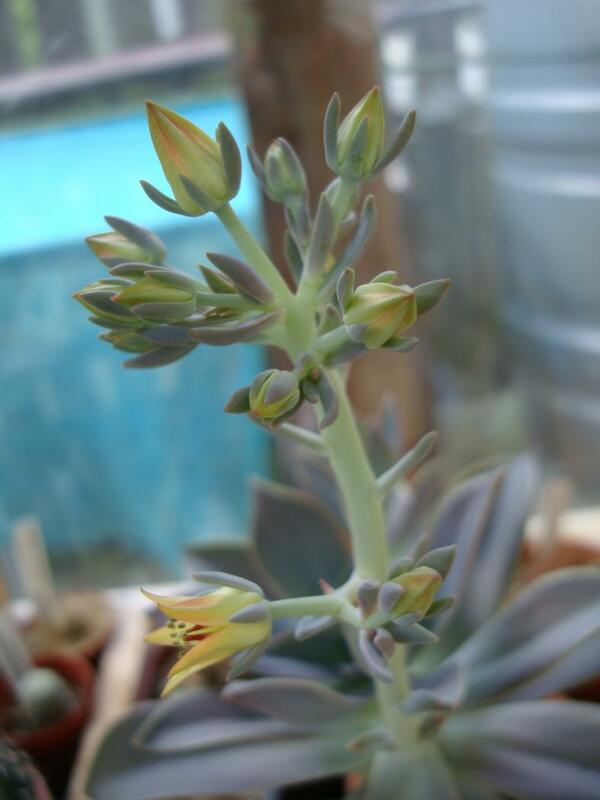 I will submit a flower photo as soon as the plant obliges. 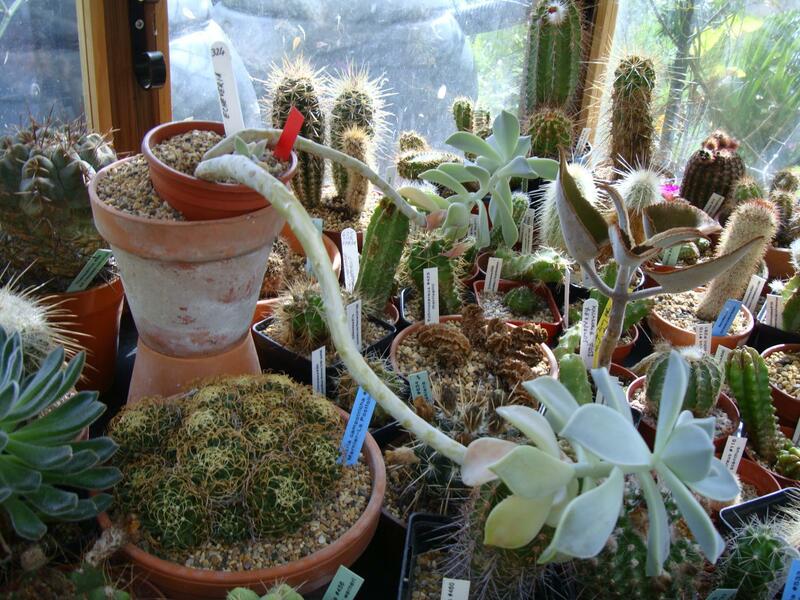 Graptopetalum paraguayense and x Graptoveria 'Fred Ives' for me too. Yes, correct, and yes, cut the stem of G. paraguayense and start a new plant. 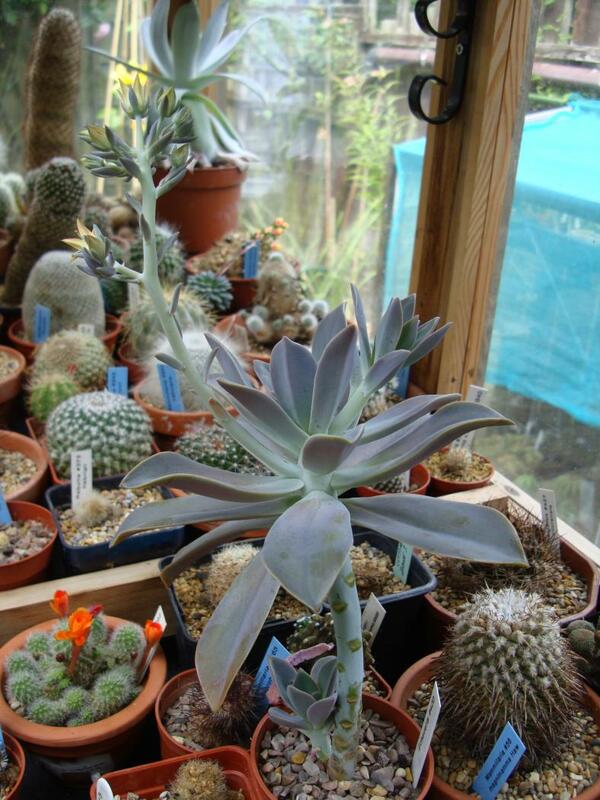 The third is also xGraptoveria 'Fred Ives' - the crested form. Thank you Tom and Margrit - I like to be able to put the correct name to a plant and to find out a bit about it.